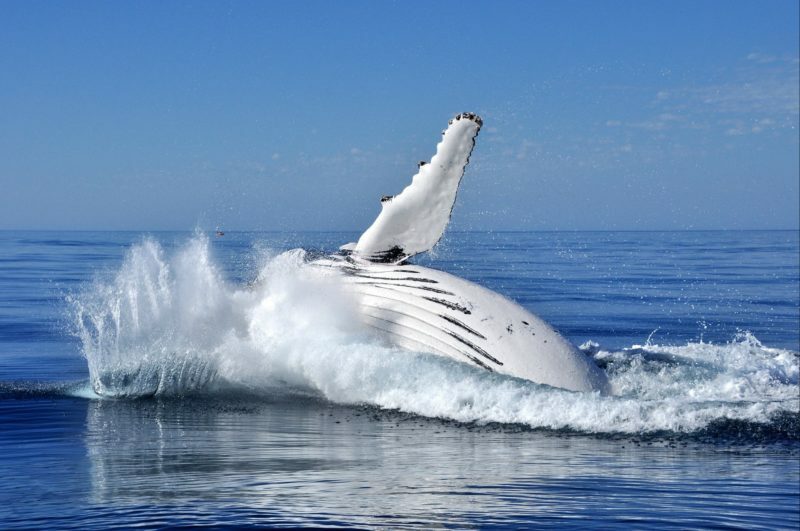 One of the best places in Western Australia to see migrating Humpback Whales is Ningaloo Marine Park off the coast of Exmouth and Coral Bay. 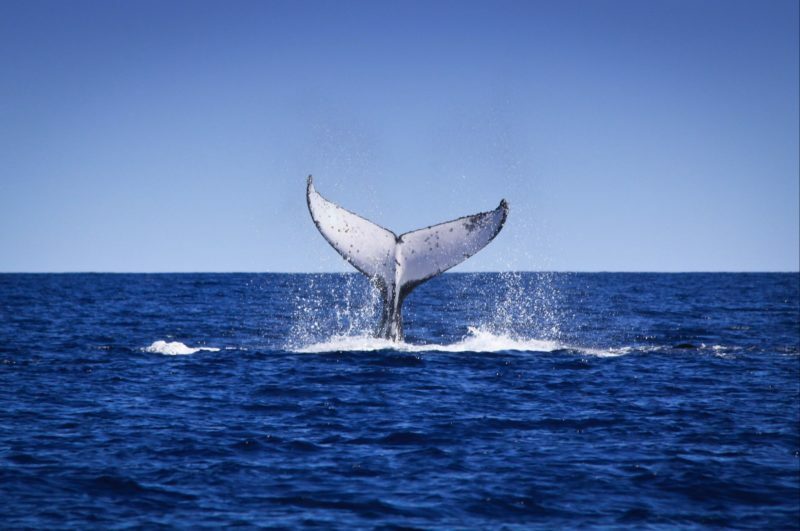 You can see these giants of the ocean on their journey between summer breeding grounds in the North West shelf and winter feeding grounds in the Antarctic. 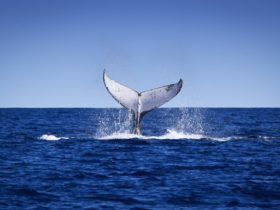 The best time to go whale watching at Ningaloo is between June and November. The babies of the family, humpback whale calves are also often seen in this area. 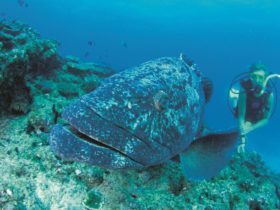 Mothers with new-born calves usually stay the longest in the waters of Ningaloo Marine Park and travel more slowly so their calves can grow. Humpback whales are massive – they can grow up to 19 metres in length and way up to 40 tonnes. 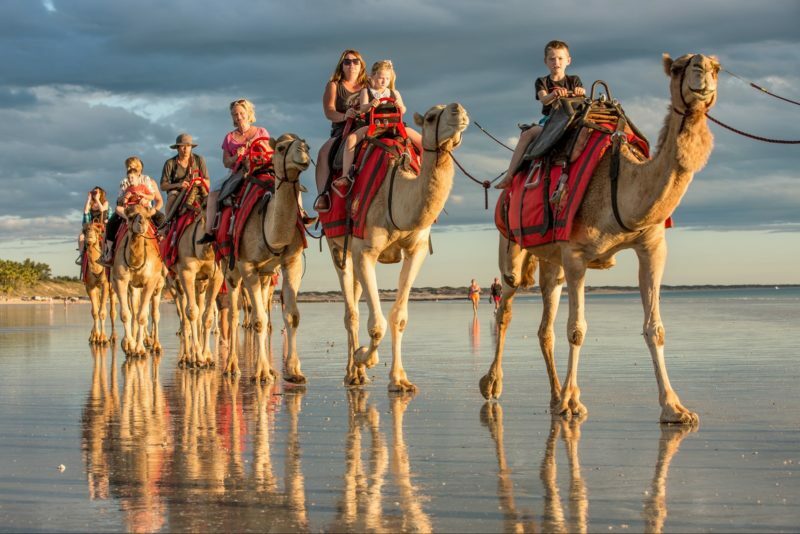 You can spot them from shore at vantage points such as Vlamingh Head or Town Beach in Exmouth, or get up close on a whale watching boat tour from Coral Bay or Exmouth.